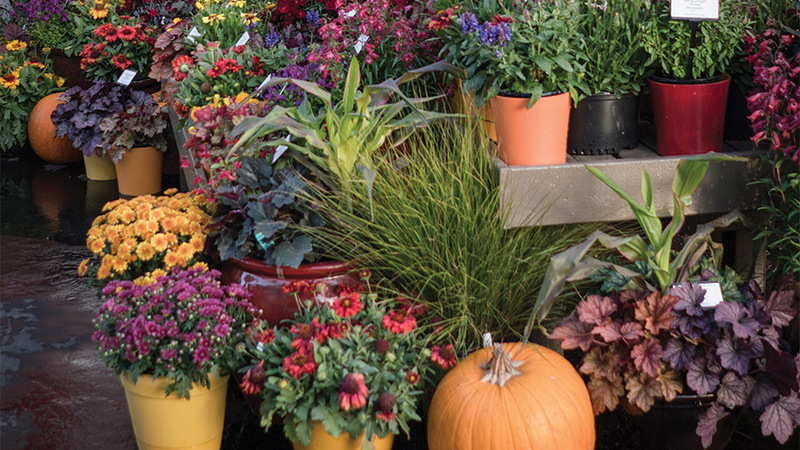 With the array of beautiful fall colors that perennials can provide, growers and retailers can take advantage of the fall decorating trend to realize more sales by offering perennials in classy decorator pots. Photo by Darwin Perennials. The perennial plant category continues to be a bright spot of growth and opportunity for the retail garden center, including independents and mass-marketers. Consumers view the perennial product class as offering greater value for reasons such as longevity, durability, sustainability, and being pollinator-friendly. The challenge facing perennial growers has been the seasonality of most perennial species. It’s a bit like days past when the only fresh fruit and vegetables were those ripening within a local region. Enjoy them now and then wait until the next year to enjoy them again. Of course, with advances in transportation and storage technologies, this segment of the food industry has been able to overcome many seasonality challenges. While gardeners may not be looking for perennial plants year round, they are looking for fresh, healthy, and attractive perennial plants throughout the spring, summer, and fall. I walk garden centers on nearly a weekly basis and am frustrated and disappointed by the perennial plant displays, particularly in summer and fall. What perennial plants I do see appear to be merely filling tablespace. Even inexperienced gardeners can tell when plants should be on the dump pile rather than in their garden or patio container; however, this need not be the case. Fresh, healthy, attractive perennials sell themselves and entice consumers into the garden center. Now is an excellent time to refresh your thinking and your variety assortment to give consumers what want. Fortunately, just as with fruits and vegetables, technology — in this case plant breeding — has provided us with a host of innovative solutions. All plants evolved with a specific set of requirements to start the flowering process. In the case of perennials, many required a period of cold treatment called vernalization. No vernalization meant zero or very little flowering, which has been a critical hurdle to overcome and a primary breeding objective for popular genera such as coreopsis, Leucanthemum, Salvia, and veronica. Modern flower breeders have done remarkable work in this area. The category of first-year-flowering perennials is quite recent and a key to programmability. Isn’t it easier and cheaper to let perennials flower in their natural timing? 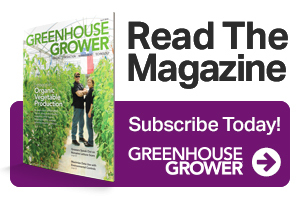 The answer is simple: New genetics make scheduling perennials easier, providing more sales and profits for the grower and retailer. The historic approach to perennial production included summer/fall planting, long production times, and large blocks of plants flowering at the same time. This type of growing causes reduced profitability due to winter loss and lack of adequate sales to consume the entire crop, forcing the retailer to discount and the grower to cut-back and regrow. New perennial genetics, on the other hand, can be timed and metered to match demand throughout the season. Additionally, fresh plants brought into bloom are visually appealing, look better at retail, and perform better for the consumer. No more need for retail markdown, and there are the benefits of reduced labor and higher turns for growers. The key here is variety selection. Trying to apply scheduling techniques to old perennial varieties will yield unpredictable results. Darwin Perennials has conducted four years of scheduling trials to take the guesswork out of the process. The results of these trials can be found at DarwinPerennials.com/Culture. Well known to the industry is that the fall season is second only to Christmas regarding dollars spent on decorating. The green industry has tremendous opportunities to capitalize on this trend. We no longer need to rely solely on garden mums as our contribution to porch and patio appeal. Perennials like echinacea, achillea, salvia, coreopsis, heuchera, and gaillardia come in a full palette of autumn colors and provide the consumer with weather-tolerant options to enhance their fall display. Reliable programming is vital to capitalizing on this critical selling window. We are just starting to see creative growers embracing this trend. Rather than simply placing perennials in the garden center in traditional black or terracotta nursery pots, they are giving them an upscale, decorator look with seasonally appropriate color pots. Today more than ever, growers have the tools to deliver fresh, beautiful perennials to retail. Start taking advantage of the significant efforts breeders have brought to our industry and give consumers the appealing products they can’t say no to — and enjoy the addition to your bottom line. 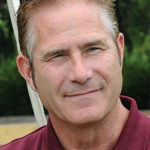 Karl Batschke ([email protected]) is Global Product Development Manager for Darwin Perennials. See all author stories here.